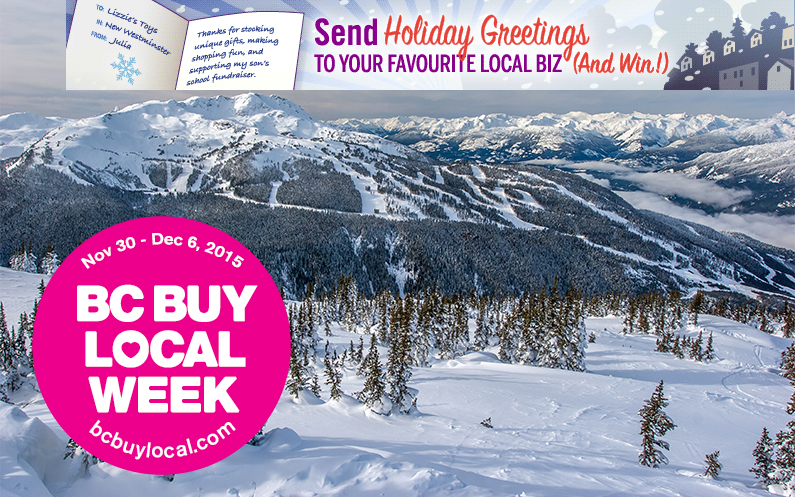 BC Buy Local Week is an annual celebration of local business. Local businesses contribute to the uniqueness, authenticity, economic diversity and resilience of our communities. Shifting even 1% of personal spending from non-local to local businesses can contribute significantly to the success of local business owners and the local economy. 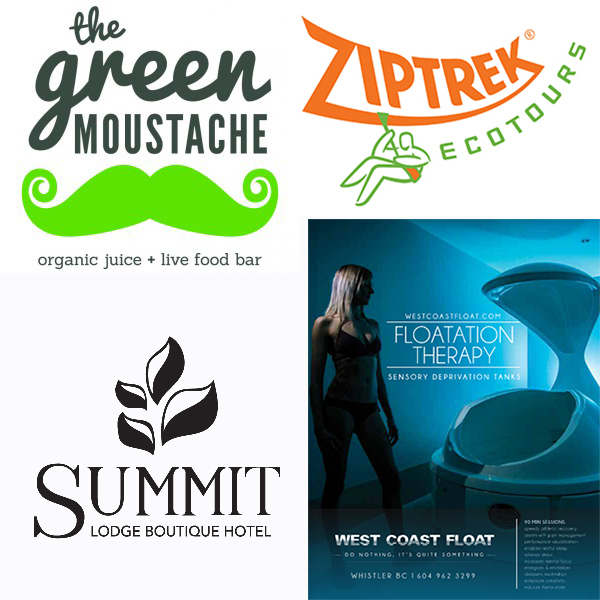 The Whistler Centre for Sustainability is partnering with Local Whistler and LOCO again this year to bring BC Buy Local Week to the Sea to Sky Corridor November 30th to December 6th, 2015. Buy Local Week has been proclaimed by the Province of BC as well as many cities around the province, including the Squamish Lillooet Regional District (SLRD), Whistler, Vancouver, Richmond, Surrey, New Westminster and Burnaby. Squamish and Langley and expected to follow next week. Local, independent businesses and social enterprises are the engines that drive a strong, vibrant economy. On average, Canadian families spend $1500 extra during the winter holiday season. Let’s spend more of it locally and celebrate the people and places that make our neighbourhoods unique. 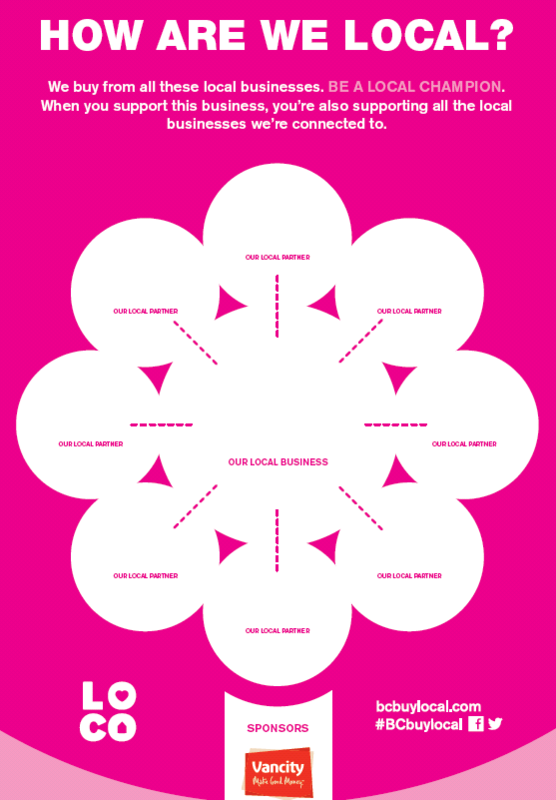 Businesses throughout the Sea to Sky Corridor are participating in Buy Local Week by prominently displaying pink dot stickers labeled with Local Owned, Local Made and Local Grown. 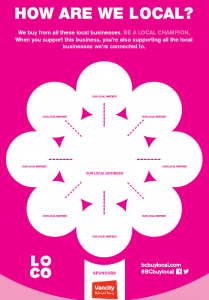 ‘How Are We Local’ posters are also being displayed to help local business owners identify and highlight their local partners, therefore demonstrating the recirculation of money in the regional economy. 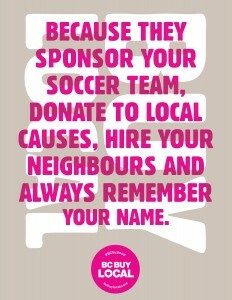 Businesses can access campaign collateral at bcbuylocal.com/businesses. Individuals can participate by entering the BC Buy Local Week contest, or send an online greeting card to your favourite local businesses to win some great prizes including $500 from Vancity. 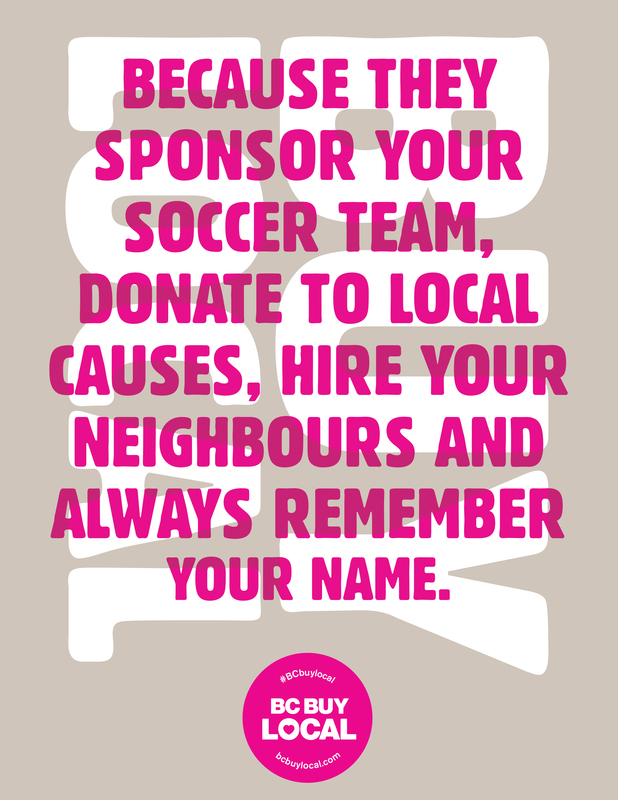 Visit buylocal.thetyee.ca to enter. Alternatively, stick a BC Buy Local dot on a local product, or take a photo at a local business, and post it to Instagram with the tags #BCBuyLocal #TyeeContest.